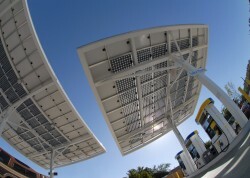 Each utility has a unique program blend of incentives available for home and business owners to help fund renewable energy installations. The most comprehensive list can be found at the Database of State Incentives for Renewables & Efficiency. 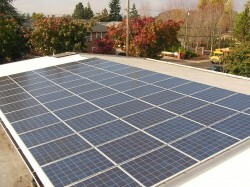 You can find a summary of Oregon incentives at Solar Oregon. The following links lead you to the various utility programs, including net metering options and the investor owned utility production payment options. Energy Design works closely with the AHJ (county/city building dept.) to document and permit your solar electric system. Simultaneously we submit building documents and program applications to the utility, the Energy Trust (when applicable) and the Oregon Department of Energy. If that sounds like a lot of bureaucratic hoops to jump through in order to install a solar electric system, you’re right! In the end though, these hoops ensure that you get the best built system. After all, we design our systems to last 25 years and beyond. Are there loans available for solar installations? Energy Design is currently working with Sunpower and Clean Power Finance to offer short term financing for solar electric projects. Call our office at 541.485.8122 to set up a consultation. Learn about the SELP, offered through the Dept. of Energy here. A calculator is available at the link that can estimate your monthly payment.